Sunday Abarca of Aspen High School heads for the finish line and first place in the 400-meter dash Saturday during the Western Slope League Championships at Stocker Stadium in Grand Junction. He won the 400 in 49.93 seconds. Abarca also won the 200 at the league meet. The best of the best will gather at Jeffco Stadium in Lakewood this week to crown Colorado’s prep track and field state champions. 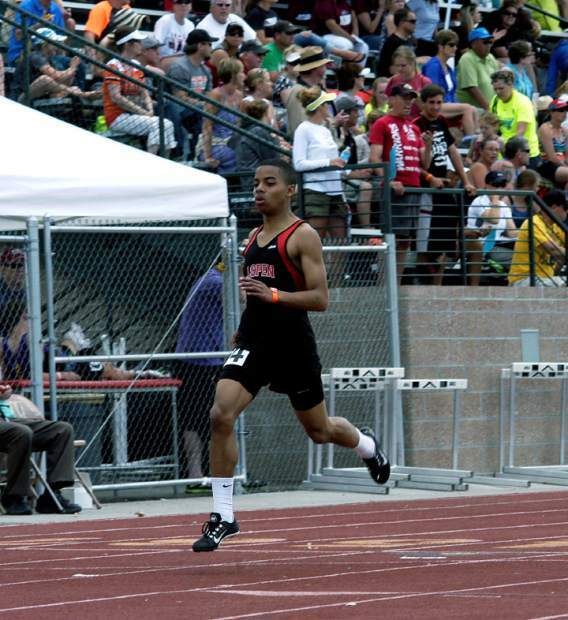 The annual State Track and Field Championships will kick off Thursday morning for a three-day run of multi-classification competition in west Denver. 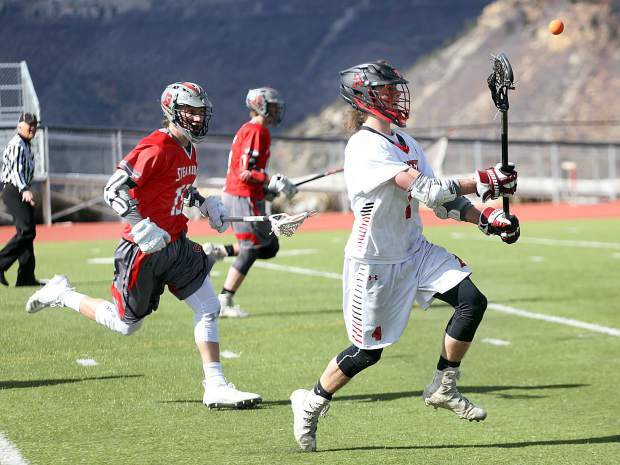 The field this year will include upper Roaring Fork Valley high school athletes who will be chasing state titles in Class 3A. 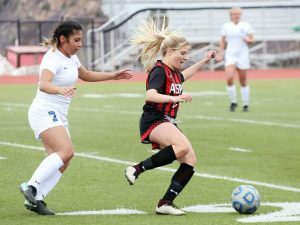 Both Aspen and Basalt qualified multiple athletes for the state championships, which begin for 3A on Thursday afternoon. 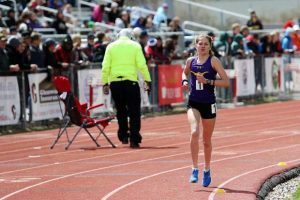 Prelims and finals will be spread over the next two days with most of the state championships in all classifications handed out Saturday at the historic Jeffco Stadium, site of previous national high school records. Leading the way will be Aspen sophomore sprinter Sunday Abarca, who won league titles in both the 400- and 200-meter dashes. State qualifiers are determined by overall qualifying times and distances from regular-season competition. 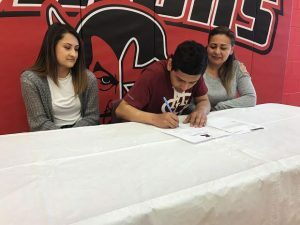 Abarca is the top Class 3A qualifier in the 400-meter dash, posting a time of 49.93 — the only Class 3A sprinter to run under 50 seconds this season. He’s scheduled to race in the 400 prelims at 7:13 p.m. Thursday, barely an hour after he runs the 200 prelims in Class 3A. While Abarca is the only 3A sprinter under 50 seconds in qualifying, several runners have times around the 50.00 mark. Josh Gregory, a junior from Eaton, has posted a 50.06 time. Kent Harris, a junior from Lutheran, has posted a 50.30. Harris will be matched against Abarca in the second of the two preliminary heats Thursday evening. Gregory will lead the other heat. Other top 400 times in Class 3A include 50.38 from Manitou Springs sophomore Jared Keul, 50.51 from Vanguard junior Miles Hatton, 51.27 from Alamosa senior Jon Needham and 51.40 from Alamosa sophomore Oscar Martinez. The top finishers will advance to the Class 3A finals in the 400 meters, set for Saturday at 11:30 a.m.
Basalt senior distance runner Zach Walsh also is among the state leaders heading into this week’s state championships. 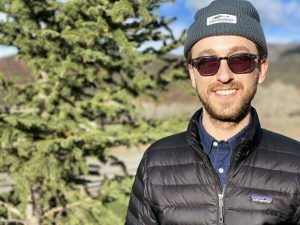 Walsh, who dominated on the Western Slope all season, is the No. 3 state qualifier in both the 3,200 and the 1,600. He’s posted a 9:43.92 best in the 3,200-meter run. The state’s top 3A time was posted by Skyview Academy (Highlands Ranch) junior Ben Butler (9:23.19). Taylor Stack, a junior from Salida, has posted a 9:43.81, just ahead of Walsh. Butler has the second-fastest time in the 1,600 this season at 4:18.62. Dominic Carrese, a senior from Fountain Valley, leads at 4:14.50. Walsh’s time of 4:26.28 is the third best in 3A entering the state championships. The schedule calls for Walsh to race in the 3,200 early Friday morning (8:10 a.m.) The 1,600 for 3A boys is set for 11:20 a.m. Saturday. In addition, Walsh will race in the 800 for the Longhorns. He’s posted the fifth-fasted 800 time in 3A at 2:00.12. Jake Dunn, a junior from Colorado Springs Christian, leads the 3A 800 field at 1:56.03. Fountain Valley’s Carrese has run 1:56.71 while Mason Phillips, a senior from Platte Canyon, has posted a 1:59.73. Also under 2 minutes is Hatton, the junior from Vanguard (Colorado Springs). Caleb Rewinkle, a Basalt junior, will compete in the 300-meter hurdles as well as the long jump at the state championships. He qualified in the long jump at 20 feet, 51/2 inches. The best qualifying jump in Class 3A is 21-9 by Bayfield’s Conner Kennedy. His qualifying best in the 300-hurdles is 42.03. The top state time in 3A is 39.87 from Cooper Eggleston, a junior from Buena Vista. For the Basalt boys, the 4×800 relay team also qualified for the state championships: senior Patrick Niemer, senior Josue Vigil, sophomore Cullen White and sophomore Wade Soho. They will race Thursday afternoon at Jeffco Stadium. Basalt senior Jake Levy will return to the state championships after qualifying in the 3A discus as the Western Slope League champion. He’s thrown 142-7 this season. The top 3A discus throw this year is 166-10 by senior Aubry Brown of Bayfield. Lutheran sophomore Adam Dawson has thrown 158-2. For the girls, two Basalt Longhorns qualified for the state finals in the 3A high jump. Morgan Ash, a Basalt freshman, jumped 5-0 to qualify for state. Teammate Kaylin Williams, also a freshman, qualified for state at 4-11. The top 3A jump in the state this season belongs to Kylie Chavez, a sophomore from Sterling who cleared 5-6. Eaton’s Kortney Lockey has jumped 5-5. Morgan Barone of Lutheran and McKayla Bauer of Greeley University both have cleared 5-4. The 3A girls high jump is set for Thursday afternoon. Basalt sprinter Jazmin Contreras, a sophomore, qualified for state in both the 100 and 200. She posted a 13.42 in the 100 meters. The top state time is 12.02 by junior Kayla Pinnt of Moffat county. Contreras ran 27.55 to qualify for state in the 200. The top state time again is from Pinnt at 24.99. Basalt’s Nicole Alvarado, a freshman, will race at state in the 400 meters with a qualifying time of 1:02.27. The top 3A time in the 400 is from Ashley Snyder, a senior from Lamar (58.00). Also qualifying for state is the Aspen girls 4×800 relay team. The Aspen girls will race Thursday.